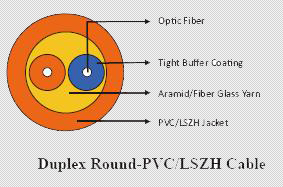 jacket of either Flame Retardant PVC or LSZH compound. The cable is unconnectorized. with either Flame Retardant PVC or LSZH compound. The cable is unconnectorized. reinforced with aramid yarn to provide physical and tensile strength. 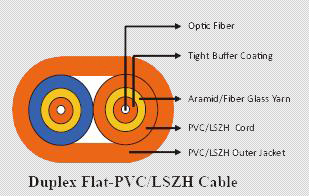 The fibers are jacketed with either Flame Retardant PVC or LSZH compound. The cable is unconnectorized. are reinforced with aramid yarn to provide physical and tensile strength. 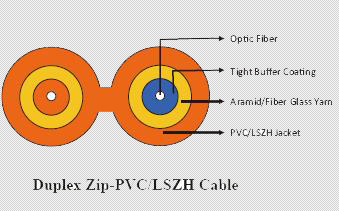 The fibers have either Flame Retardant PVC or LSZH compound jackets connected by a web to form a Āzipcordā construction. The cable is unconnectorized. 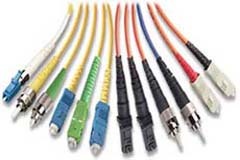 100 cycles for unarmoured cables. •Customized jacket colors available for matching connectors. 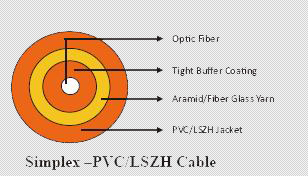 •Private labeling on the cable outer jacket is also available.